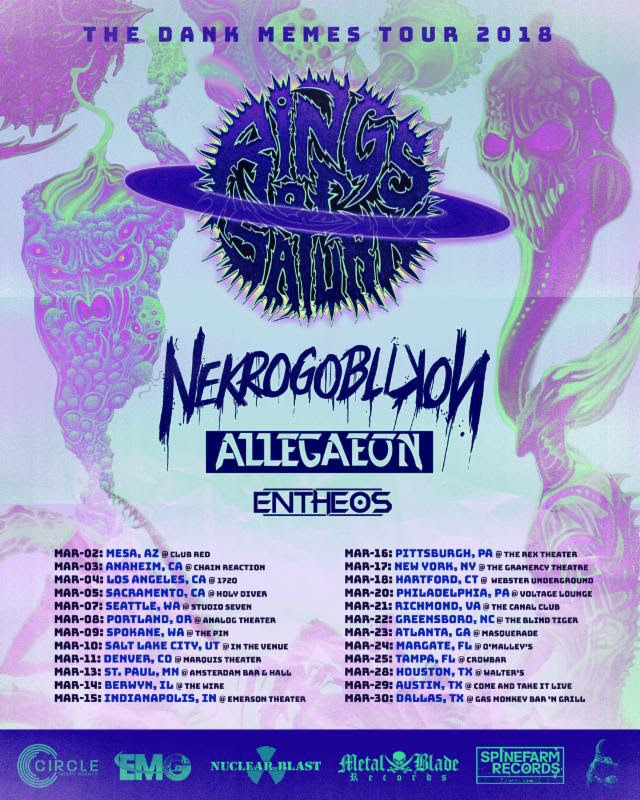 New Tour- ALLEGAEON Set To Join Rings Of Saturn For US Tour This March. ALLEGAEON will return to the road this March with Rings Of Saturn, Nekrogoblikon, and Entheos for The Dank Memes Tour 2018. 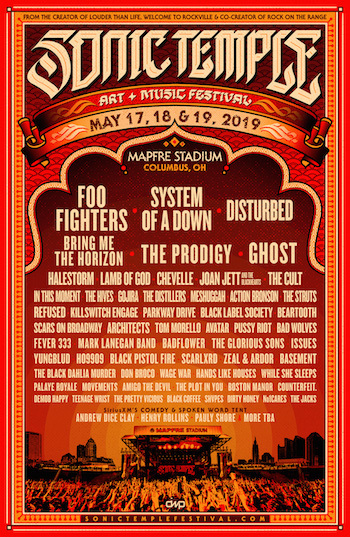 This will be the last chance for fans to see ALLEGAEON before they hit the studio in Denver, Colorado with producer Dave Otero (Cephalic Carnage, Cattle Decapitation). Album number five is nearly written, and the band plans to unveil a new song as part of their set on tour. Track the band and buy tickets at bandsintown.com/allegaeon. Recently, ALLEGAEON released a single for their cover of Rush’s “Animate.” That single can be heard via Spotify HERE.